The main components of the support part of the rotary kiln include support rollers, support roller shaft, support roller bearing housing, support base, thrust roller and thrust roller seat. The supporting device is an important part of the rotary kiln. It bears the full weight of the kiln cylinder and plays a vital role in the stable operation of the rotary kiln. CHAENG specializes in providing all kinds of large spare parts of rotary kiln, like girth gears, riding rings, bearing housing, support roller, etc.. If you are looking for a supplier for your rotary kiln support roller assembly, take a look at the process characteristics of CHAENG. 1. CHAENG bearing housing adopts high-quality steel, with high hardness, high wear resistance and strong bearing capacity. It can work continuously for a long time, with good stability. 2. CHAENG uses advanced CAD/CAE/CAM computer system software to simulate the casting process and optimize product quality. 1.CHAENG rotary kiln support roller adopts ASTM: 1055 / DIN: 42CrMo4 steel materials with high tensile strength and good impact toughness, which greatly ensures the quality of support roller. So that CHAENG kiln support roller has the advantages of large load carrying capacity and good continuous operation performance. 2. 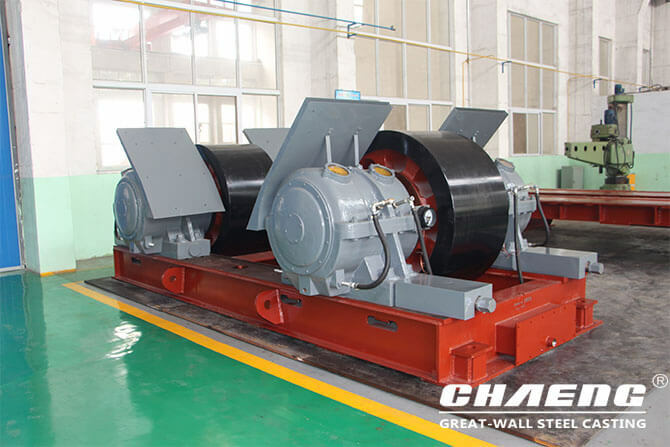 CHAENG rotary kiln support roller is rolling bearing-roller set. The rolling bearing manufacturing precision is high, compared with sliding bearing, it can make rotary kiln rotating more stably, and reduce maintenance cost. 3. CHAENG uses normalizing and tempering process to greatly ensure the quality of rotary kiln support roller. The outer surface hardness of the support roller is higher than 200HB, and the roller has good temperature resistance, small friction resistance. Due to its reliable quality and long service life, CHAENG has been praised as “a cost-effective steel casting manufacturer”by customers. 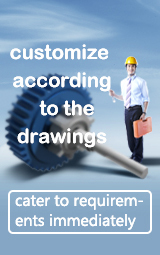 Advise us your detailed requirement, we will reply you the information and quotation you need!